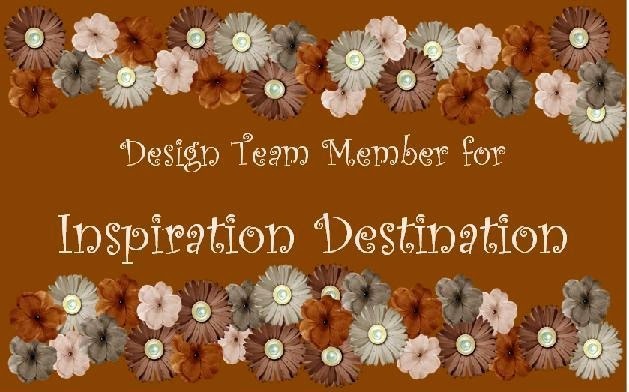 We have Crafty Sentiments Designs sponsoring Inspiration Destination this week. One lucky winner will receive THREE digis of their choice! How fun! I've made this card for my grand niece who comes to craft with me every month. She's got a strawberry birthmark on her face and she gets bullied something awful at school. I often make cards for her and send these to her in hopes of lifting her spirits. I hope these do! 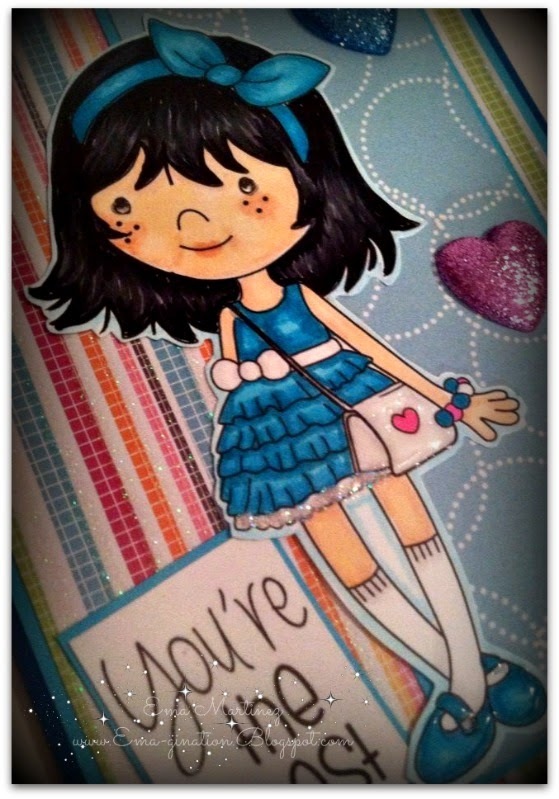 I colored this image in colors I dressed my 27 yo estranged daughter... when she was a little girl! lol Gosh, do you suppose that's why she won't speak to me? I think these are pretty colors! I added Glossy Accents to her shoes and purse to make them look patent. A favorite material of mine for little girls. My daughter always wore patent shoes and carried patent handbags. OK... so now... looking back... maybe it IS why she's estranged to me. Ha! 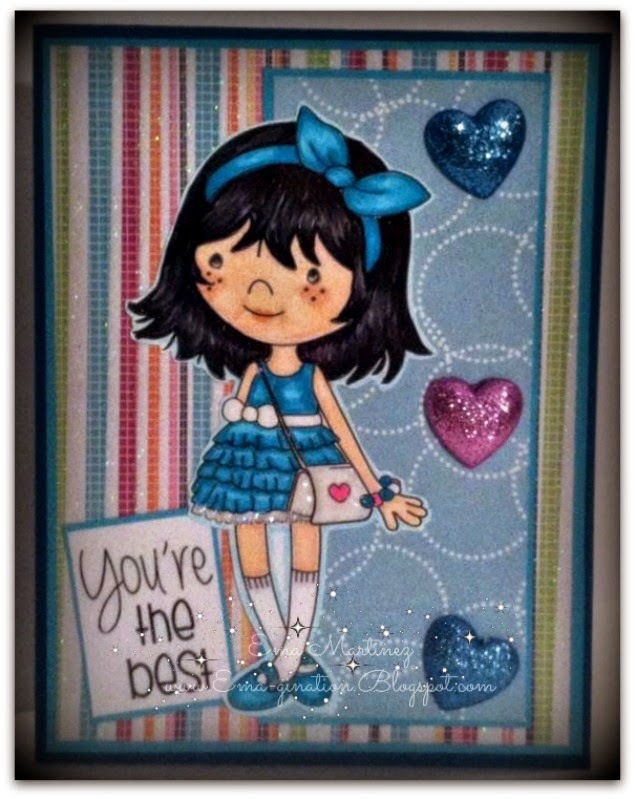 Hope you have time to pop on over to IDCB and check out what my teammates have created using some adorable Crafty Sentiments Designs images! 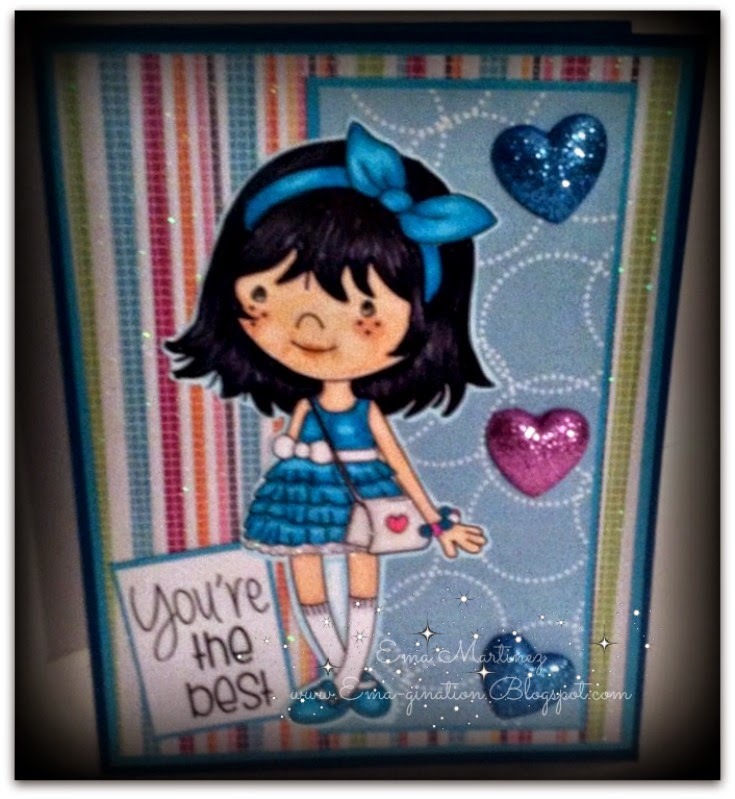 Gorgeous card lovely colours. I am sure your grand niece will love it. What a lovely card! 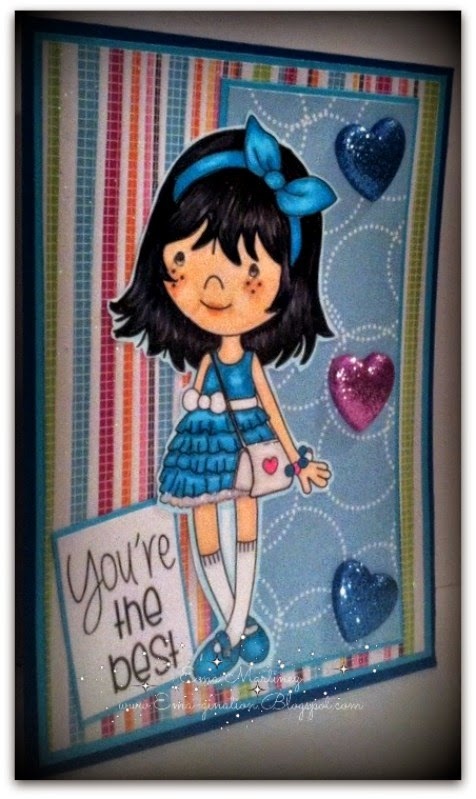 Thanks for sharing it with us at Through the Craft Room Door. Hope to see you again soon! Amazing i love the colour.